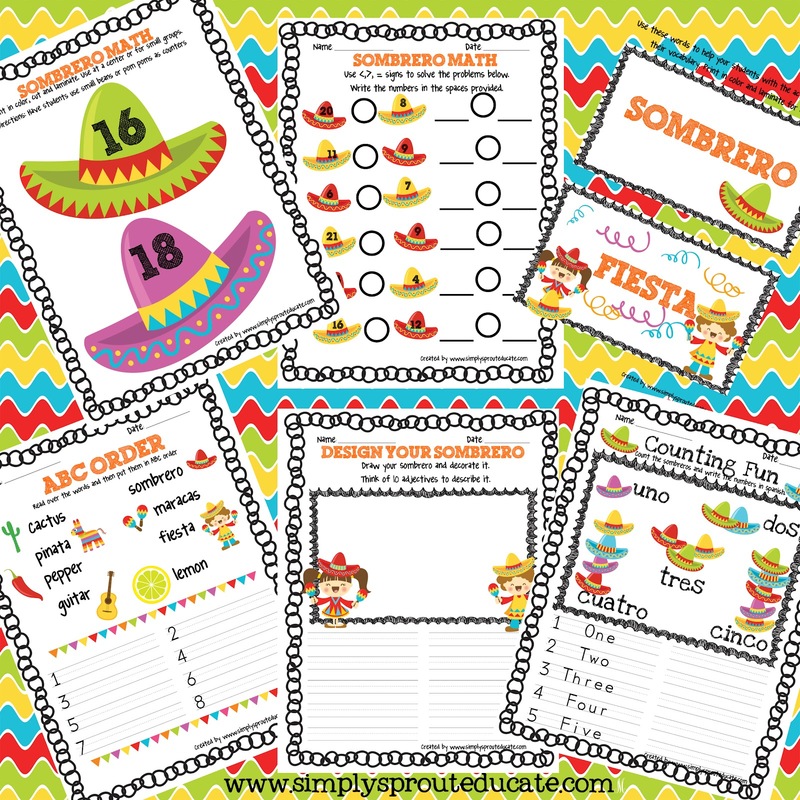 Celebrate Cinco De Mayo With your little ones by making this colorful centerpiece for your table. This show stopping Sombrero is just as fun to make as it is to look at. To get started have your little one paint a paper plate using their favorite bright colors....anything goes so let them be as creative as they want to be. While they are painting take a plastic cup and hot glue felt around it. You might need to cut to size before gluing. Since my little one is only 4 and hasn't mastered cutting yet, I cut out some zig zag lines using some scrap pieces of felt. She used some Elmer's glue to add the felt strips and some scrap ribbon to the cup. Once the plate is dry, hot glue the bottom of the cup into the center of the plate. The final step is adding all of the colorful pom poms. Before we did that we stopped to play a few games with them. First we sorted them into color groups, then we counted them and lastly we put them in groups of 5 and then practiced our counting by 5's. As I prepared my meal tonight I talked with my daughter about Mexican food, cultures and traditions. We made our own version of a Chicken soft taco. Complete with tomatoes, onions, cilantro, black beans, roasted corn and lime juice...yum! We also enjoyed some kiddie Margaritas...lemonade with a sugar rimmed glass! Lots of activities on writing, math and grammar skills! 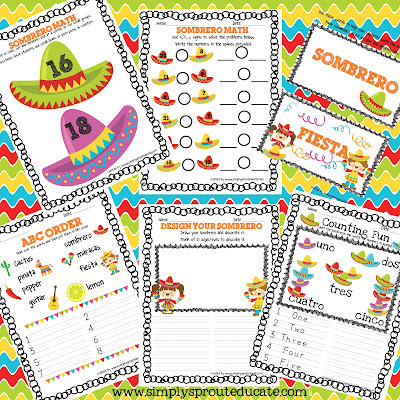 Check back tomorrow as we have some more Cinco De Mayo fun!